For a while now I have been reading up on the vast options, as well as varying opinions stating the pros and cons on both sides of fundraising (or crowd funding) for adoption. Mainly because Kim and I currently do not have the money right now to flat out write a check for $40k and we are willing to do whatever we can to adopt a little brother for our biological three (bio3). The tension is real, and although currently we roll with a circle of really close friends (like 20 deep yo) who have been extremely generous and supportive, the doubting part of our brains are causing us to ask if fundraising should even be a part of this journey. My initial thoughts surrounding asking our friends and family for financial support in the adoption process, is similar to the idea behind fundraising for short-term mission trips. There are many people who, although they may have the biggest heart, are unable to feasibly go on a mission trip (or adopt), but by inviting them into the process and journey, it allows for an avenue in which they absolutely can participate and be a part of a bigger story. I appreciate these types of comments, because in reading them and the rest of the content they are reminding us to not put the focus on certain things during and after the adoption process. So for those reminders I am grateful, and will be mindful as to how we proceed. Normally reading something like this would cause me to be defensive, but honestly it goes to show there are some people who have strong opinions in these statements. Although we do not resemble any of the above as we are a multi-race ‘ethnic’ family with 3 kids living in middle-class America, and we give support internationally, the statements are a reality for some. This causes the entire process to be marred or tainted, raising eyebrows to many, and really causing harm for families who want to adopt. I love this, because I’m in line with this mentality as well. While in the process of deciding what types of fundraisers we do, or which site to use to crowd fund, we went in with the idea I mentioned earlier. We absolutely have been blessed with extremely generous friends and family, and we love thinking this financial relationship will be just that – a relationship. One in which we invest and invite into the beating heart of our family instead of treat just like an ATM machine. Just as adoptive parents have shared their story with us and enhanced our lives, we feel the same thing will happen by inviting you into our lives and sharing our experience throughout the entire process. Next, comes the fundraising steps. We plan on doing some events and will announce them when they get scheduled, but we also plan on providing other avenues should you not have the ability to attend one of the events. After much research, the choice between crowd funding sites became a difference of two key components. Tax-deductible, funds will only go towards agency fees. Besides the processing fee difference I can see where both of these options can be beneficial, however I’m not a fan of processing fees so we’re only going to have 1 crowd funding site. So for those who want to support us as well as receive a tax deduction we will direct them to our Pure Charity page. 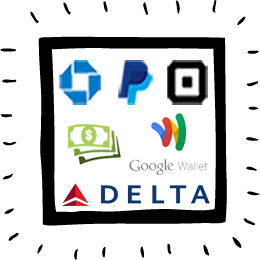 For those who really don’t care about tax-deductions, and want to help with the items not covered by agency fees (travel, food, etc) we will simply direct them to using one of the myriad of p2p payment methods here. On top of putting these easy-to-give things in place, Kim and I will also be doing everything we can to save any extra income from here on out. Our hope is to be able to get through these processes of paying the fees and finish the paperwork as soon as we can so that we can bring our little boy home sooner than later.